About the book: This book is equal parts reflection, factual account of the challenges and joys of the Pilgrimage, and practical advice for preparing for it and making it the best experience possible. Read it if you are planning to walk El Camino de Santiago de Compostela. Read it if you know you never will and want to know what it is like. If you like first-person accounts full of facts and reflection, you will like Walking from Here to There. 5 stars: "Suitable for readers who are and are not considering making the Pilgrimage of Saint James. Ms. Day provides a blend of first hand experience, historical context and cultural considerations. If you are thinking of walking El Camino, the insight Ms. Day provides from (at times, painful!) lessons learned is a gift of practical advice and resource suggestions." 5 Stars: "What an AMAZING trip! We have added El Camino to our bucket list. It looks like you found your way on El Camino. I LOVE the chapter on Muni Manners (and Madness). This is a must read for anyone considering Pilgrimage." First and foremost, take your time to write a quality manuscript. Do not rush and publish a first draft. Make sure to go through several rounds of revisions to "trim the fat" i.e. get rid of redundancies, passive voice, and unnecessary wordiness. Hire a professional editor to edit your manuscript. A pro book editor should fix grammar, spelling, punctuation, word usage and sentence structure/flow. Work with a professional book designer. At this point, you have a solid edited manuscript, but the first thing consumers see is the book cover, so make sure to only use a top-notch cover design. Any seasoned book designer will also handle the essentials for the interior such as table of contents (TOC), page numbering, headers, footers, justification, hyphenation, orphans, widows, and much more. Select an established book publisher such as Seacoast Press to publish your book. I own the company, which offers professional editing and book design as recommended above, but also printing, ebook conversion, distribution, publicity and marketing. Working with Seacoast Press allows you to receive all of the above services from one provider, instead of having to hire multiple contractors. Of course, if you'd rather go it alone, there are self-publishing platforms that you can utilize. Just keep in mind that you'll probably face a steep learning curve without the help of a professional publisher. Form a book launch team. Enlist a group of readers to join your launch team and to read your book prior to release, post Amazon reviews, and help with promotion heading into and during book launch day. Tip: Create a Facebook group to form and manage your launch team and offer incentives for team members. Choose the right book categories. If you publish with Seacoast Press, I'll help you determine the correct categories for your book. A rule of thumb is to try to choose categories without a tremendous amount of competition. For instance, you shouldn't choose the general "Action Adventure" category, as that is too broad and the competition will be fierce. You should instead segment it down to a sub-category with less competition. Make sure you use competitive pricing for all your book formats. Look at comparable titles in your genre with a similar page count to determine a proper price point for the paperback and ebook. As with the categories, I can help you determine a correct price point via Seacoast Press. Set a book launch date on your own or with the help of your publisher. Choose a weekend date if possible. You want to drive as many sales as possible on Amazon during your launch day. Amazon updates their rankings hourly, so the more sales in a particular day the better. Make sure your launch team is aware of your launch date and encourage them to leave their reviews in time for that launch date and promote the date along with you. Run a Best Seller Campaign for your launch date by leveraging social media, sending out press releases, taking out ads on ebook blogs and purchasing spots on e-newsletters. As part of the Seacoast Press Best Seller service package, I actually handle this process for you. I handle all the ad buying for your book and focus on driving sales during your launch day. You can do this yourself, but I've done this successfully numerous times for myself and others and I can save you a lot of time and energy. Obviously, this isn't an exhaustive list but in my opinion the above outline represents the basic framework for achieving Amazon bestseller status as an author. MindStir Media put together this funny video depicting a celebratory new author. I think the video is somewhat self-explanatory. Publishing a book is a big deal. Why not celebrate? For a children's book author, part of publishing a book also includes finding and hiring a children's book illustrator. At MindStir Media, we've been illustrating/publishing children's books since 2010, and many of our illustrators have been illustrating much longer than that on their own. Some of our illustrators are even award-winning illustrators. They've illustrated in nearly every illustration style imaginable and have worked on hundreds of picture books. 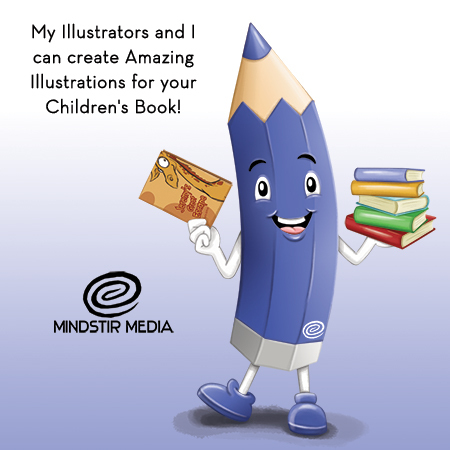 Recently, I had one of my illustrators at MindStir Media create a mascot for our children's book division. Check it out below. Click here if you want to learn more about getting your children's book illustrated. We follow a simple 3-step illustration process and our rates are affordable considering the quality. We even include free revisions as part of the process and fees. Christy Day is a New Hampshire author born on a Wyoming ranch in the USA. Apart from writing, she is also a passionate traveler, sailor, and she even holds a private pilot’s license. In this interview, she talks about her debut book, Walking from Here to There: Finding My Way on El Camino, published by Seacoast Press, a Division of Mindstir Media, LLC. 1.How would you define yourself? I am curious, I love life, and am passionate about doing good in the world. It goes without saying that my daughters are the most important part of my life. 2. At what age did you start to show interest in the outdoors? Growing up on a ranch in Wyoming, I was introduced immediately to the outdoors. Some of my earliest memories are of being put up on the back of a great big, gentle horse. I also remember following my father’s tracks in the deep snow. Rivers, lakes, and oceans, mountains, deserts, and plains – I feel at home in Nature and I respect its power and beauty. I enjoy writing about Nature and photographing it. 3. What drove you to become interested in El Camino, Spain? I watched the movie, “The Way,” starring Martin Sheen and written by his son, Emilio Estevez. I found it intriguing and moving. Then a Pilgrim who had walked El Camino de Santiago de Compostela (that’s the full name of the pilgrimage) spoke at my local library in Amherst, NH, and I realized it was something I could do. Once I realized that, I knew I had to do it! 4. Why a Pilgrimage? “Why a Pilgrimage” is a question I have asked myself since I decided to do it. I am not deeply religious. Like everyone, though, I search for meaning. In the beginning, I did it partly because of the challenge of doing it. As I moved along El Camino de Santiago de Compostela, I became more involved with everyone else’s challenges and searches for meaning. It is quite amazing to meet so many people of so many religious persuasions and engage meaningfully in conversation and shared struggle. If anything, the mystery of Pilgrimage deepens as you walk along. 5. What were the logistics involved in walking 500 miles? It took me 39 days of walking which was an average of 12.4 miles per day. In addition to that, I also took two days of rest. This Pilgrimage has been in existence for over 1100 years, and Pilgrims have always been well-support. A great guidebook shows you what to expect for walking conditions and where the inns (called albergues), restaurants (called bars) and other support services are. Thios makes logistics along The Way easy. It is also made easy because of the amazing Spanish hospitality. The logistics are most important in the planning stage. Every decision you make about equipment is critical. You must have just the right shoes and socks that suit you and your feet. Your backpack has to fit just write. Beyond that, common sense and trusting your judgment come into play. What to take and what not to take is complicated. It took me a year to choose the right equipment, to pack and repack dozens of times, and to decide what to leave out of my backpack to make it as light as possible. 6. What was the most challenging part of the Pilgrimage? Oh, there were lots of challenging parts. Being disciplined about the rigors of walking 500 miles was one of the most challenging – always using sunscreen, always paying attention to problems with feet as they developed, always tending to blisters and infections. The most challenging part of the Pilgrimage for me was having the courage to say “Yes, I can do this.” The fear, joy, and angst of saying goodbye to my younger daughter at the sign in Roncesvalles and taking that first step of 500 miles is something that will stay with me forever. 7. What was the most rewarding aspect of your experience? My younger daughter told me that when I arrived at the Cathedral in Santiago de Compostela, she wanted me to fully prostrate myself and thank the powers of the universe for all the good that got me there. Your feeling when you arrive at the Cathedral Plaza makes you want to jump for joy. You can’t believe that you have actually arrived. Instead of jumping for joy, I fully prostrated myself. When I did, the World went silent for me. It was as if I felt all the powers of the universe right there with me. I had a profound sense of gratitude. 8. Do you have any plans for the future? I want to spend as much time as possible with my daughters. I plan to write a novel. I want to keep traveling – lots of places to see. Is A Wikipedia Page Worth Having as an Author or Business? Many pages include inaccurate information. Anyone with an active Wikipedia account can create a page or edit one, so Wikipedia is notorious for providing inaccurate information and not always being the most reliable source. Yes, the site has some amazing, hard-working volunteer editors, but they’re imperfect people nevertheless, and they lack knowledge on certain topics. You’re not supposed to promote or advertise on Wikipedia. As part of Wikipedia’s long list of editorial guidelines, a page/article is supposed to be devoid of advertising or promotional copy. It needs to read as an unbiased encyclopedia entry and include reliable and independent references. So, basically, the copy needs to be dry and unwelcoming. It’s not the place to write a fun and exciting bio about yourself or your company. In fact, you’re not allowed to write about yourself at all! Don’t expect a Wikipedia page to “promote” your company. You need to constantly monitor your Wikipedia page. I noted above that many articles have inaccuracies and you are not allowed to write about yourself. Well, you’ll also need to keep a close eye on your Wikipedia entry for any sudden changes so that you can take action if needed. In most cases, inaccuracies are just honest mistakes. In few other cases, changes to your page are meant to harm you or your company. Making lasting changes to your Wikipedia page is difficult to do. Since you can’t edit your own page, you’ll need to enlist a trusted Wikipedia editor to make necessary changes if you detect anything erroneous or questionable mentioned on your page. And then hope and pray that the changes stick and aren’t reversed by another editor/admin. Keep in mind that Wikipedia frowns upon “paid editing,” and it will be incredibly difficult to locate a volunteer editor to help you with your article. Your page can be deleted at any time. There is a long list of editorial guidelines on Wikipedia. Again, the editors and admins are imperfect, so mistakes are made often. Articles are deleted every day for various “reasons.” That’s what happened to the Mindstir Media Wikipedia page a few months back. One day it was there in all its glory and the next day it disappeared because the editors decided suddenly, after several months, that the references in the Wikipedia Mindstir Media article weren’t independent or large enough sources. Of course, there are other companies far less notable on Wikipedia. This was a tough pill to swallow initially, but ultimately, I saw it as a blessing in disguise for Mindstir Media. Due to all the reasons above (and more), I’ve concluded (for now) that Mindstir Media is actually better off without a Wikipedia page. In my opinion, you’re probably better off staying away from Wikipedia, too. Your time and resources are much too valuable to spend on a website that you can’t update yourself; isn’t in any way promotional; needs constant monitoring; and can be altered or deleted at any time without your consent. But you have to enter awards competitions if you want to win. I know that's common sense for most but you'd surprised by how many authors say they want to win an award and then never enter their books! The first step, obviously, is to locate the right awards competition for your book genre. That's as easy as googling "list of literary awards for self published authors" or some variation of that. You'll be amazed by the options! Pick several competitions suitable for your book and closely follow the submission guidelines. If they require a Word document, send them a Word document. If they want a PDF, send them a PDF. And if they want a print version of your book -- yes, you guessed it, send them a print version. Don't do anything to disqualify yourself from the competition. Once you've submitted your book it's important to practice patience. These competitions generally all have winner announcement deadlines, so if you're a winner, you'll be contacted by the posted deadline. Do not contact them to see if they received your book. Most of them will want a print version of your book, so simply ship the book via a trackable shipment method. This will ensure safe delivery and you'll also be able to see that it was received. For those that want a digital version, I'm sure 99.9% of those sites will send you some sort of email confirmation. Again, sit back and be patient. If you win, great. Go out and publicize the heck out of your new award. Write and distribute press releases, add your award-winning status to your website and all marketing materials... If you don't win, just keep on keeping on. You can still be wildly successful without winning an award. In February 2016 we published Reptiles vs. Amphibians by thirteen-year-old Chelcie Oparanozie. The young adult (YA) novel has since become an Amazon bestseller, making Chelcie the youngest MindStir Media author to land on a bestseller list. 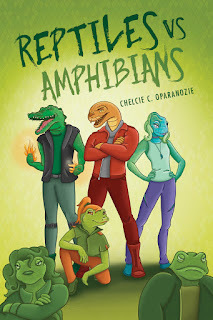 For more information on Chelcie, go to her official website at http://www.chelcie4books.com/. Click here to read an official MindStir Media press release distributed earlier in March. New Mind, New Body: The Inner Makeover for a New You, written by MindStir Media author Gregory P. Brown MD, launched last month and achieved a #1 spot on two Amazon.com bestseller lists. The paperback version of his book recently enjoyed the #1 position on the Hypnosis for Diets category, while the Kindle ebook resided at the top of the Hypnosis Psychology & Counseling category. The Kindle ebook also landed in the #4 spot for the Mind-Body Connection category. From the back cover: So you want to lose weight, too? Transform your mind, body, and life with this comprehensive toolkit and easy to use step by step guide, which takes you through a personal self-assessment process unique to you; offers you a clear, concise, and complete system for positive self-development; and helps you change your relationship with food by starting from within. Psychiatrists can struggle with life problems, just like you. After years of going through different diets, Dr. Greg Brown recognized that to really change his body, he needed to change his mindset. He succeeded in making fundamental and permanent changes in his own life without sacrificing anything of the lifestyle he wanted to enjoy. He shared his program, The EATT Plan, with friends and family and now offers it to you. Dr. Greg's insights and experiences from his personal journey to health are paired with a fun and engaging set of tools that support any chosen diet plan. New Mind, New Body: The Inner Makeover for a New You is available at Amazon.com, Barnesandnoble.com and other fine retailers worldwide. Wholesale orders can be placed through Ingram. The paperback book retails for $14.99. The ebook is priced at $6.99. MindStir Media LLC offers comprehensive self-publishing services such as custom cover design; interior layout; ISBN assignment; printing; ebook conversion; distribution; and marketing assistance. MindStir Media also provides one-on-one coaching from bestselling author J.J. Hebert, making its book publishing services completely unique and “Mind-Stirringly Easy,” as the company puts it. To learn more about publishing a book with MindStir Media, visit http://www.mindstirmedia.com or call 800-767-0531.